On Tuesday, I shared with you, sinfully delicious chocolate chocolate chip cookies that I made for my daughters cheerleader luncheon. Well, if you have been reading our blog for a while, you know that I have a problem, I can’t just make one kind of any dessert! I always think that nobody likes the same kind of cookie and so I should make two! I am so glad that I did. 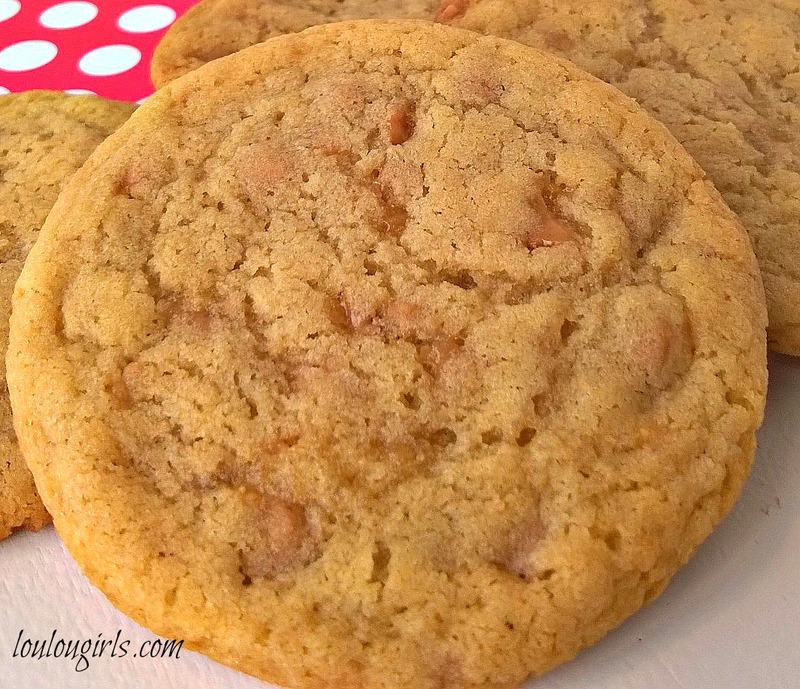 The toffee flavor is right up there with my caramel addiction, and cookies! These little puppies melt in your mouth! In a large mixing bowl, cream together the butter and both sugars until light and fluffy. Add eggs, vanilla and combine well. Make sure to scrape the sides of the bowl to make sure all the ingredients are blended. In a different bowl, whisk together the flour, cornstarch, baking soda, and salt. Then slowly add it to the butter mixture and mix well. With a wooden spoon, fold in the toffee bits until evenly disbursed. Leave the dough in the bowl and cover with foil and let chill for at least an hour. 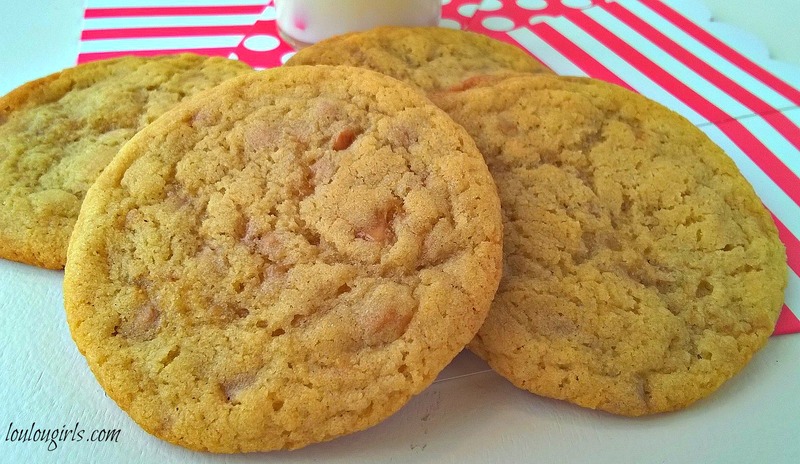 Remove cookie dough from the fridge and let sit until it is at room temperature. Preheat oven to 350 degrees and line baking sheets with parchment paper or coat with cooking spray. The dough might look a little crumbly but it will come together. Take about a tablespoon of dough and make it into balls. Bake for 10 to 11 minutes or until golden brown. Pinned and shared. Thanks for linking up at #OverTheMoon! I hope you will join me at #Wonderful Wednesday. 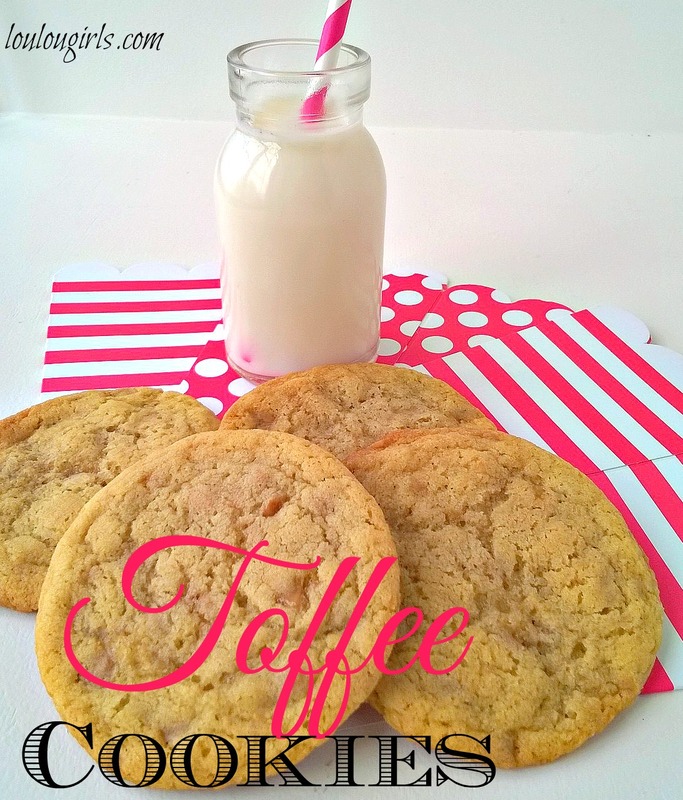 I love toffee bits – so much that last time I bought a bag, I ate them all up before ever using them in a recipe! Luckily, armed with a recipe like this one, that won't happen again. These look wonderful! Again an amazing recipe! I love toffee!